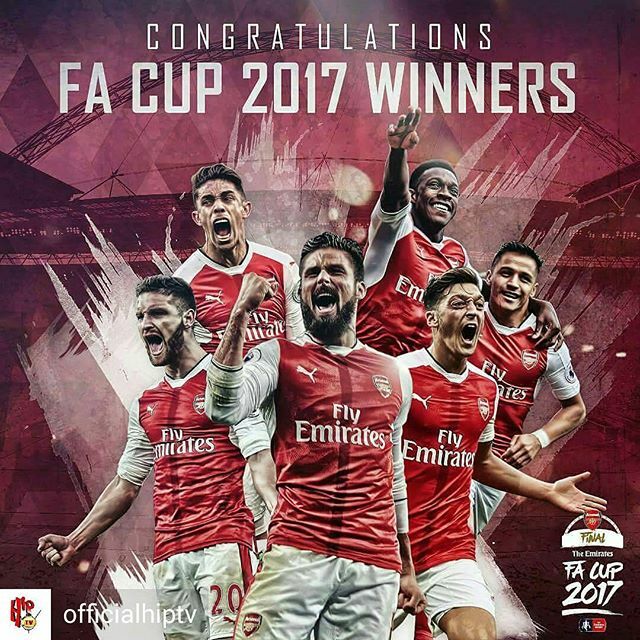 Arsenal football club are the winner of 2017 FA cup after defeating Chelsea by 2 goals to 1. Today's win made it 7th FA cup title for Arsene Wenger.. This is for the fans, this is for us..
Congratulations to Arsenal, congratulations to us.. We are Arsenal..